In need of a little break from the mundane daily tasks? Alternatively as a primary carer, do you feel hesitant to leave Mum or Dad at home while you take a well-deserved family break? Are you a primary carer and need a rest? Or simply require a little break from mundane daily tasks? Alternatively, you feel hesitant to leave Mum or Dad at home while you take a well-deserved family break? Whitehaven offer short respite stays for you to recharge your batteries and re-build strength. Our goal is to ensure a successful transition home. 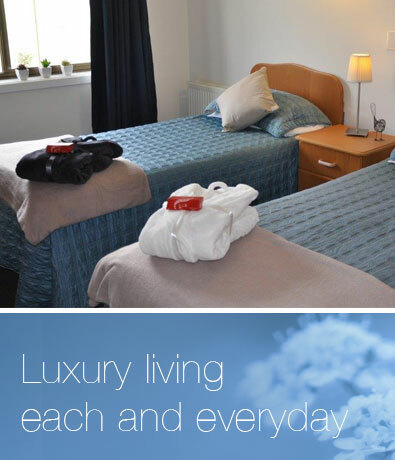 We take the pressure off by providing regular wholesome meals, serviced rooms and onsite daily laundry. This allows you to put your feet up relax and take some time out for yourself. You never know you may get use to the 5 star services and decide on more permanent arrangements. Book your Respite Care online.